As someone who is self-employed and works from their laptop, I spend an awful lot of time cafe hopping through London trying to find the best wifi and coffee in town. Luckily, I have discovered some absolute gems! A winner of the best independent coffee shop in Europe award, this cafe can get pretty busy. I enjoy working there due to their great coffee, fresh wholesome food, indulgent desserts (did someone say pecan salted caramel brownie?!) and the fact they have a designated co-working space you can use for a small fee. However if you’re on a budget, they also allow you to work in the general cafe for free, with free wifi access. There are Yumchaa branches scattered across the city. These cafes specialise in tea, with over 40 blends available as well as speciality coffee, chai, matcha and loads more. Plus they have free wifi and comfy sofas, the perfect spot to set up camp with your laptop. This hotel is home to both The Hoxton Grind and Hubbard & Bell. These two cafes both have free wifi, great coffee and won’t judge you for sitting down with your laptop for a few hours. I warn you though, they get busy to grab a seat early! 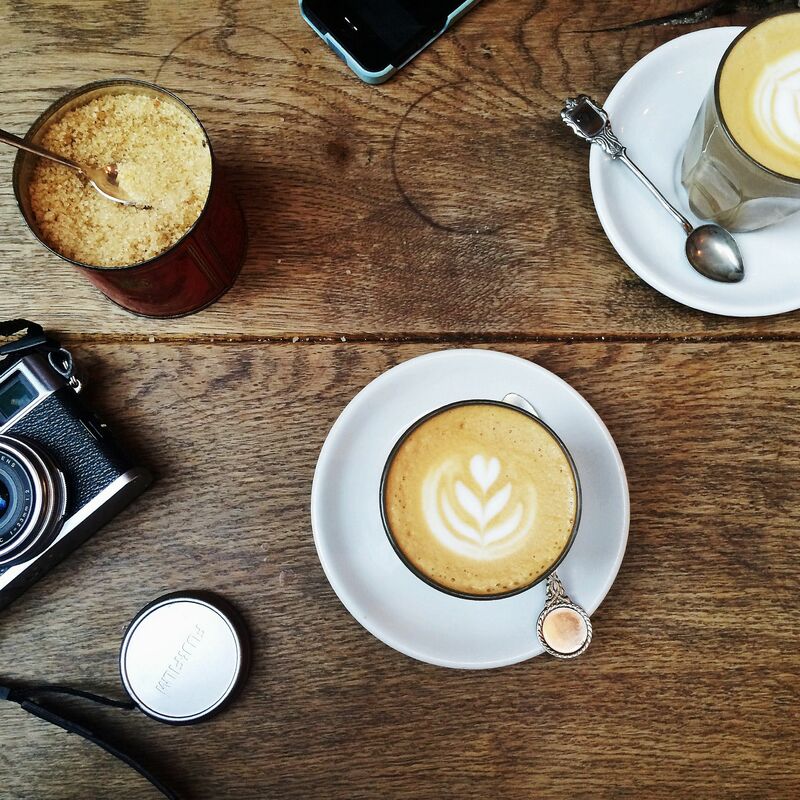 Right next to old street, this popular spot are known for their high quality coffee. They roast it themselves! With free wifi, lots of plugs and tonnes of seating this cafe doesn’t disappointment, plus it serves one of the best brunches in town. This retro inspired restaurant has a designated working area for us laptop-lovers. They haven’t got an abundance of plugs, but their wifi is fast and their food is delicious! Want to go a little further afield? Bean & Hop In Earlsfield. Great food. Even better coffee. Tonnes of plugs. Lots of light. Free wifi. A buzzing atmosphere. Sold! Ben’s Canteen in Earlsfield. They have just opened a new WeWork space with high speed wifi. Plus its a dog friendly cafe, which means you might meet a furry friend. Flour To The People in Battersea. They have exceptional coffee, fast wifi, cosy surroundings, tonnes of plug sockets and pretty damn good sourdough too. Let me know your favourite spot to work in London, as I am always looking for new ones to try!